The genre of portraiture is most associated with formal images of human beings presenting an actual or ideal personal or social identity but has also often been used for less static explorations of identity and what it is to be a person. The Portrait show emphasizes work that continues in this exploratory tradition through direct and indirect confrontation with the concept of portraiture and its core issues. 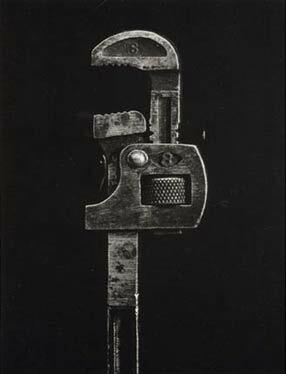 Thus, along with the celebrity and style portraits of Amy Arbus, which are concerned with conscious self-presentation and self-creation, are Richard Kagan's exquisite black and white prints of old hand tools, industrial objects whose history of use provides them with the personal character that is often a central subject of human portraits. John Matturri, on the other hand, exhibits "meta-portraits," depictions both of environmentally placed portraits and pseudo-portraits and the very process of portraiture. In a number of works in the show questions of identity are explicit. Eunsuk Joo's large color prints depict young Korean women singing karaoke, asserting their modern selves in a context of a practice that has its roots in traditional culture. Lisa Sartorius plays against portraiture's presumption of stable identity by focusing on the shifting tentativeness of her early adolescent subjects. Other artists in the show, including Jeff Amram, Petra Ruzickova, Victor Friedman, Daniel Anizon, and Elio Ciol characterize their subjects in part through their activities and environments. Finally, in the manipulated and enlarged polaroids of Gail Thacker identity becomes a matter for exuberant fantasy and play. Varied in their technique and subject matter, the images in the show present a wide range of approaches to contemporary portraiture.